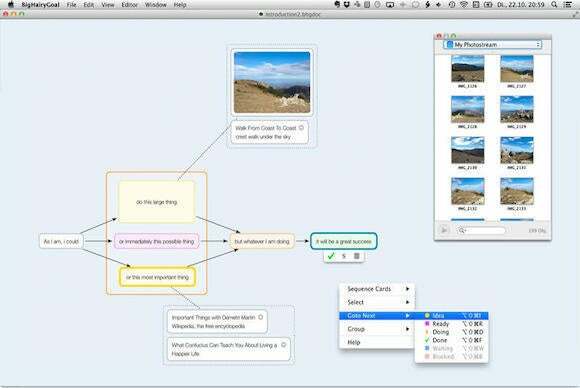 This week's roundup of new Mac apps features two tools for creating mind maps: Family Mind Map and BigHairyGoal. This week’s roundup of new Mac apps features two tools for creating mind maps: Family Mind Map and BigHairyGoal. 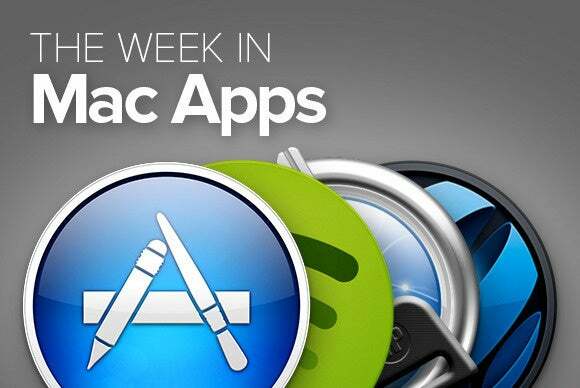 Plus, apps for backing up your email, finding new music, and much more. Berbie Software’s $15 BigHairyGoal (Mac App Store Link) offers mindmapping tools to help you visualize your ideas, organize your thoughts, and make longterm plans. The app provides you with a set of boxed cards that can be placed anywhere on your virtual board and customized with text, images, and URLs. 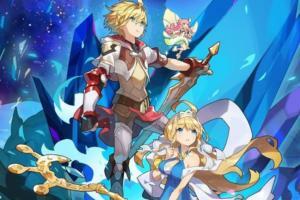 You can group contextually similar notes and update their progress, and even complement them with free-hand sketches, or highlight important content with different colors. 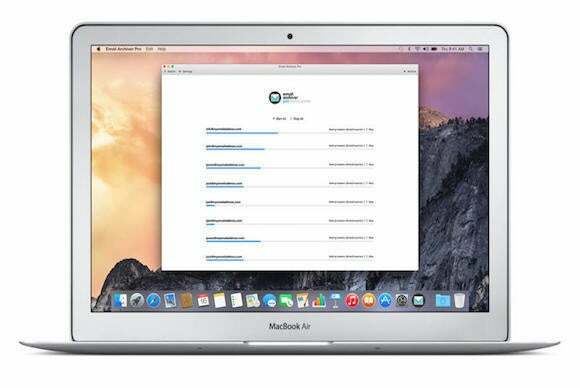 Zengobi’s Curiota (Mac App Store Link) organizes your files and notes in one convenient place—whether on your local drive, Dropbox, or iCloud Drive. 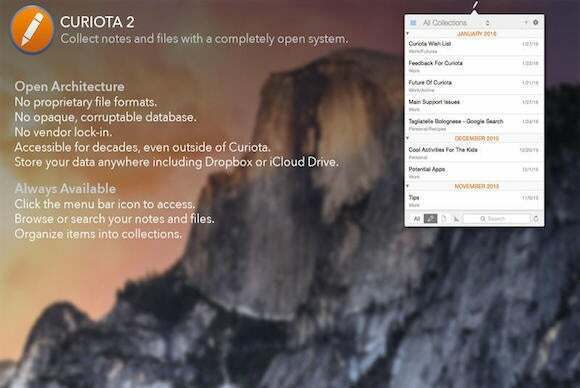 By dragging your images, web addresses, or documents over to Curiota’s icon, you can quickly collect all the data that matters in a handy database, integrate it with your personal notes, and even generate PDF files to share with your friends or colleagues. 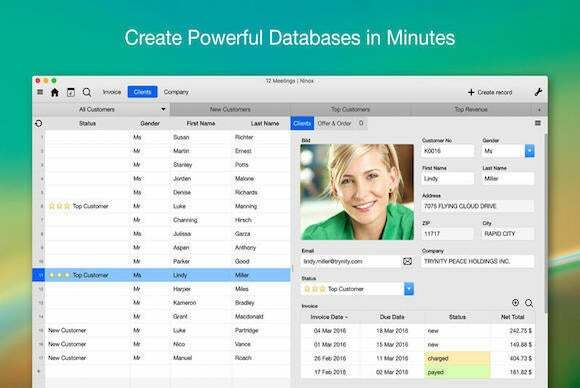 Palmer Andersen’s $450 Email Archiver Enterprise (Mac App Store Link) provides mission-critical backups for email databases to prevent data corruption, and it keeps a copy available at all times for safety and forensic purposes. The app supports unlimited email addresses, and can even convert all messages and attachments into searchable PDFs for quick reference and archival. New Technologies’ $5 Family Mind Map helps you organize your household’s tasks and responsibilities into a clever and convenient mindmap format. 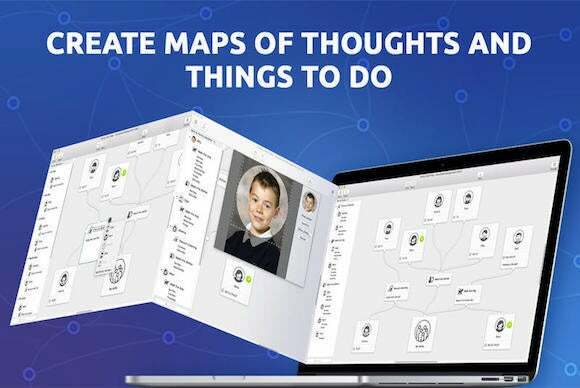 With Family Mind Map, you list all of the members of your family in an interactive board where you can add pictures, create sharable projects, and define tasks according to your goals. To keep everybody in the loop, you can print your final mindmap or post it online to your social network of choice. 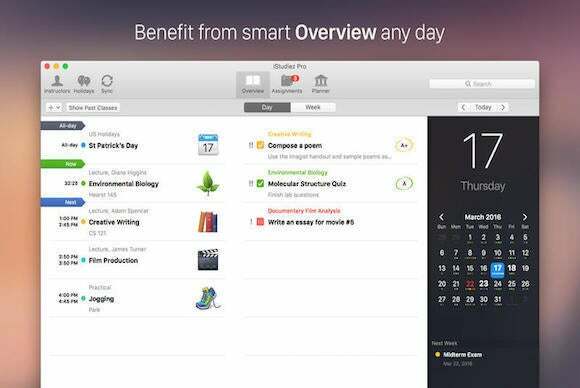 Attention, students: If you want to get a head start on your school day, iStudiez Team’s $10 iStudiez Pro (Mac App Store Link) is a handy dashboard that incorporates your daily schedule, homework, and extracurricular activities all in a single location. The app comes with a scheduling tool designed to help you stay on top of your assignments; keeps track of your classes based on time, location, and instructor; and even has room for you to type in and keep tabs on your grades. The $28 Ninox (Mac App Store Link) is a versatile database for storing important contact information, tracking your movie collections, keeping tabs on your work hours, and more. With just a few steps, Ninox can create forms that feature customizable rich text fields, formulas, and charts, and help you track appointments and reminders with a special calendar view. The app can sync its data over iCloud and DropBox, and allows you to import data from a variety of third-party software. 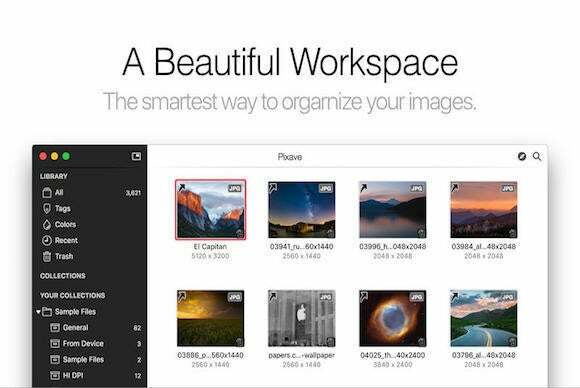 LittleHJ’s $15 Pixave (Mac App Store Link) provides a workspace where you can save copies of your favorite images, videos, and web links. In addition to dragging and dropping individual files, you can automatically import media from your hard drive and external storage devices by using Finder tags. 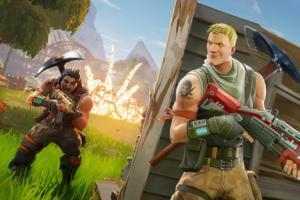 The app is also capable of creating a local copy of any webpage, saving all associated assets in its database for future use. 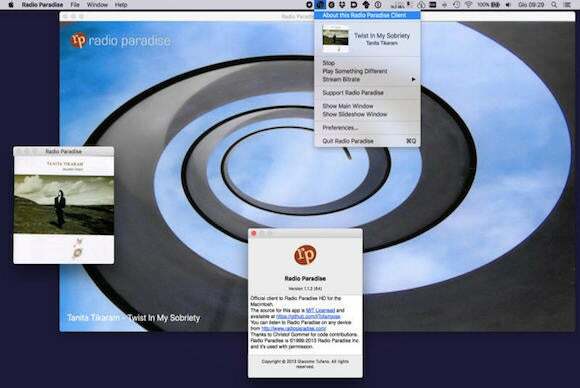 Giacomo Tufano’s Radio Paradise (Mac App Store Link) brings a mix of carefully curated songs and imagery straight to your Mac. 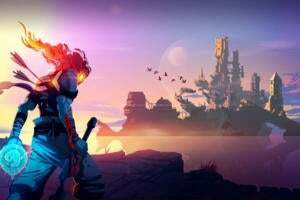 The app combines a selection of music and photos into a unique visual and auditory experience that spans multiple genres and themes, and comes with a built-in social network through which you can exchange your opinions of songs with other users. 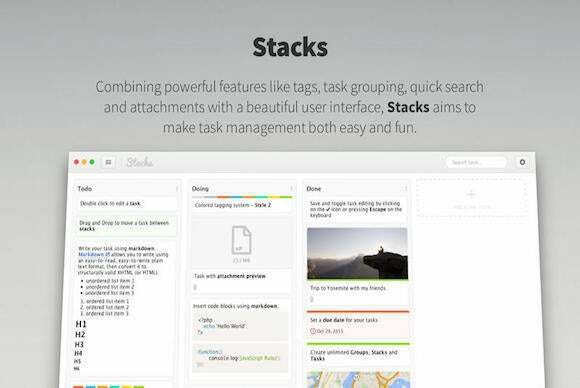 Cristian Barlutiu’s $10 Stacks lets you stay on top of your tasks with a layout that can be organized just the way you want it. The app, which supports syncing across multiple devices via Dropbox and iCloud, features colored tags for quick search, is compatible with Markdown, and keeps track of your progress with due dates and reminders.